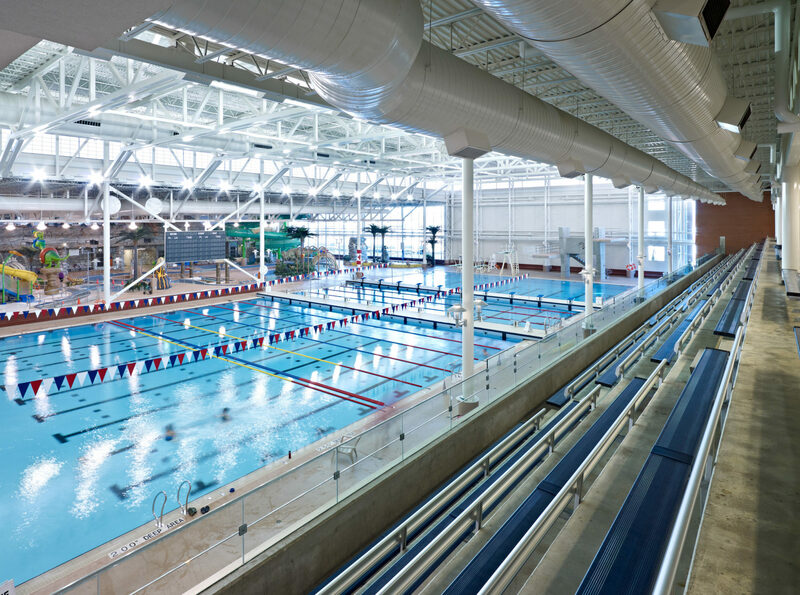 The Grande Prairie Aquatic Centre is home to multiple swimming pools and water features, a fieldhouse with second floor running track, racquetball courts, concession areas and fitness area. 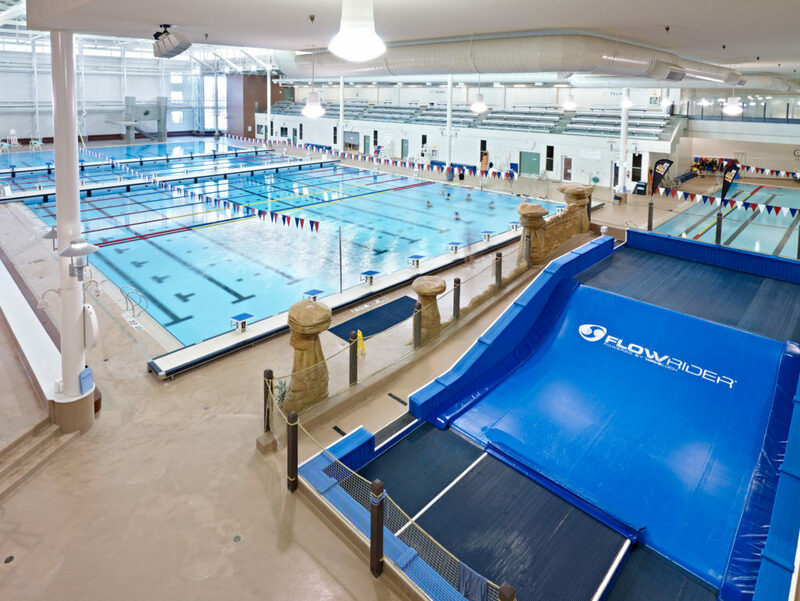 The building also contains a gymnastic club on one side and a rink on the other side (currently connected via an underground tunnel). 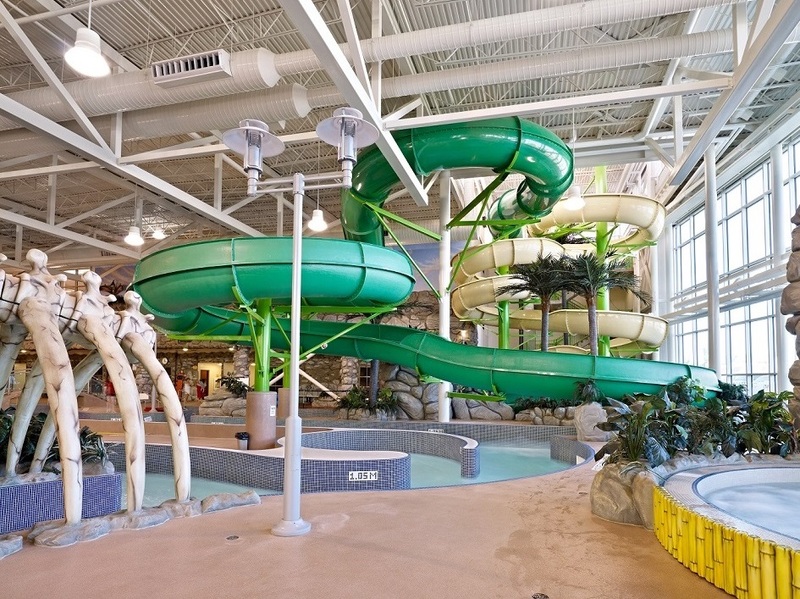 The pool area is a source of entertainment and features two water slides, a flowrider that simulates surfing as well as a waterpark that is dinosaur themed. 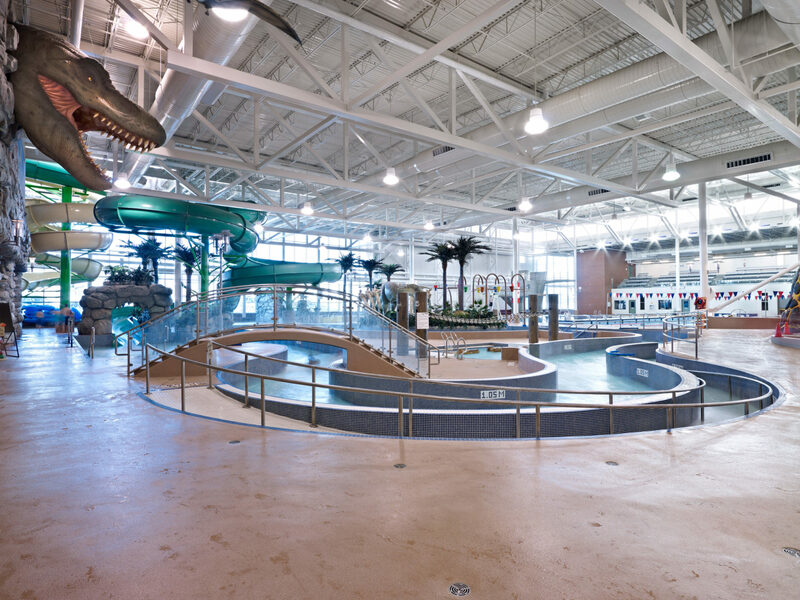 The Aquatic Centre offers several pools that include a Competition pool, lazy river, two hot tubs, and a steam room and sauna. 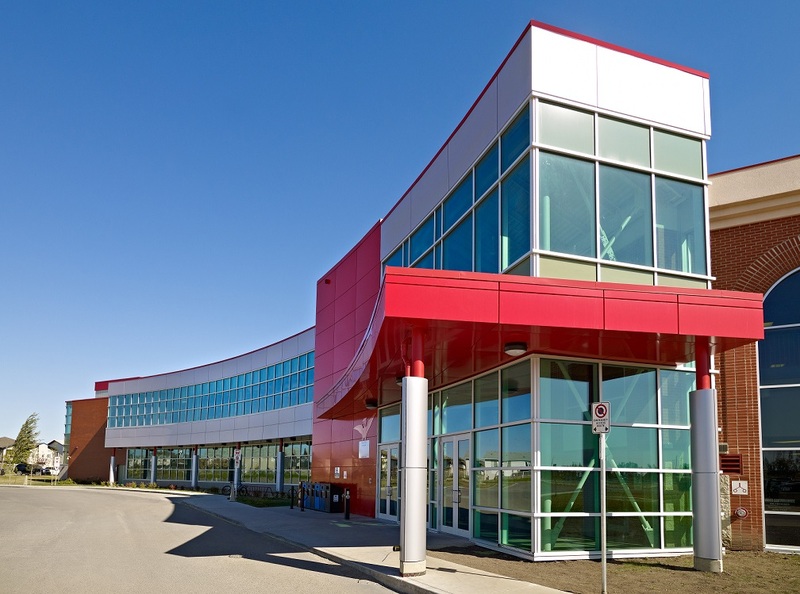 Also included in this centre is a complete athletic facility that is comprised of courts and equipment for sports and fitness classes. There is a racquetball and squash court as well as a four lane running track. 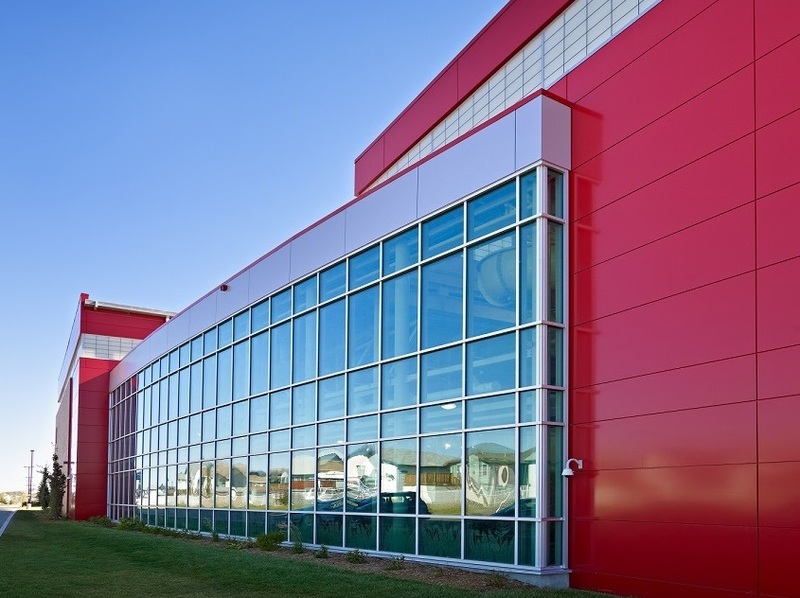 A weight room is located on the second floor of the facility that contains an assortment of cardio equipment, flat television screens and multipurpose areas that offer more space for other activities.